So I know it’s been a while, but this week I started feeling better! Me and baby are both keeping well, but it feels like I’ve been pregnant for ages! These come in a book style case which will be perfect for traveling, I believe they use to come in a roll before. The brushes themselves are very handy and light to use. They have a funny smell to start with but after a wash they was fine. I was disappointed however it didn’t include a foundation brush. 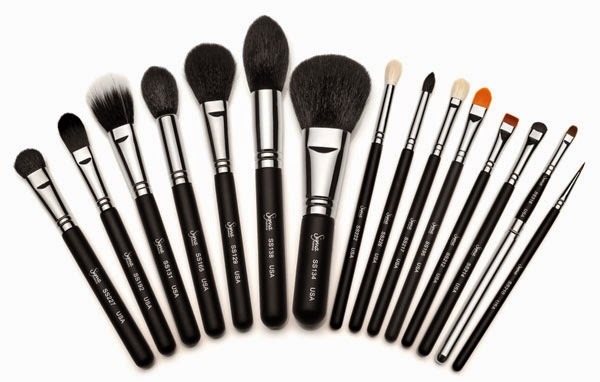 I think this is a great addition if you already have a few brushes in your kit. I’m planning on buying the Make me Classy set which I think will complete my kit. I will carry on using these brushes a couple more weeks and then give you a better review on each brush and what I use them for.